By exploiting some exotic quantum states, researchers have conceptually designed a sensor that features unparalleled sensitivity. 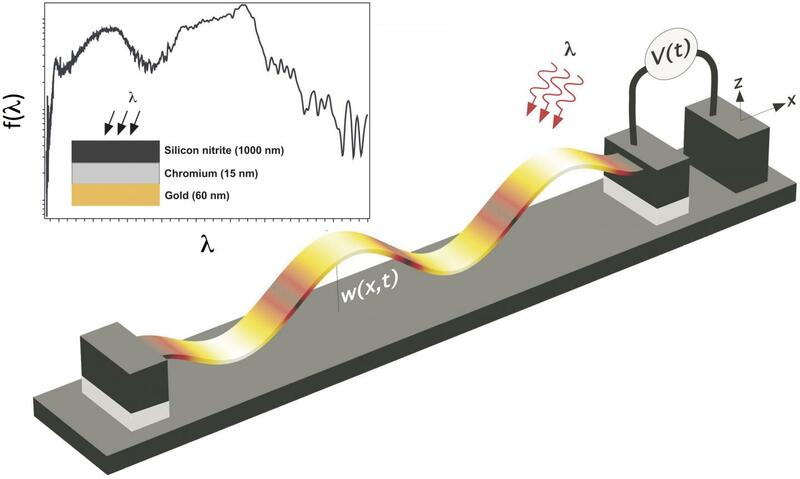 In a paper published in Physical Review A, Ali Passian of Oak Ridge National Laboratory and George Siopsis of the University of Tennessee describe a photon-sensing scheme for a detector that would behave much like a miniature trampoline. The concept is based on a suspended micro-bridge, but other shapes can be considered. "Photons hitting its surface would cause a tiny displacement that can be detected because of the quantum mechanical effect of squeezing, allowing us to minimize the movement of the sensor prior to arrival of the photons," Passian said. This approach reduces the inherent limitation caused by all objects having a motion even in their lowest energy state. The next step will be validation through laboratory experiments.